30 years of iglidur, 50 years of igus: the tribopolymer specialist igus demonstrates the resilience of its polymer plain bearings with ‘iglidur on tour’. The small iglidur car has been retrofitted for its round-the-world trip in cooperation with Cologne University of Applied Sciences. From the brake pedal through the convertible top and the throttle valve to the windscreen wipers, metal components have been replaced with igidur bearings. Plastic is one of the most important materials of the current age and is becoming increasingly more so by the day - especially in the automotive sector. Cost-effective, premium-quality, processed high-performance plastics offer huge amounts of potential, which has far from been exhausted. For 30 years, the Cologne-based plastics specialist, igus, has been firmly committed to researching, developing and continually optimising iglidur tribopolymers for industrial applications. The 1,750 m² test laboratory, in which around 10,000 bearing tests were conducted in 2013 alone, has enabled the company to develop outstanding plastics technology expertise. With over 12,000 products, igus offers the world's broadest range of friction-optimised polymer plain bearings. The 40 iglidur standard materials make the company a key player in the field of motion plastics. igus has established itself as a proficient automotive industry supplier; more than 200 million iglidur bearings were installed in cars in 2012 alone. This means that 50 percent of igus bearings are now used in cars. From windscreen wipers and steering systems through the chassis, gears and seat systems to the transmission and other engine compartment components - the potential application areas for polymer plain bearings in vehicles are almost endless. The benefits offered by iglidur polymer plain bearings in the different applications are clear. Made from plastic compounds, the bearings do not require external lubrication and are both corrosion and maintenance free. "Despite their low weight and low cost, they are wear resistant and highly durable", commented Markus Feth, Head of the Automotive Division at igus GmbH. Damping properties help to minimise noise, for example in the interior. It is therefore almost inconceivable to design seat applications without the products from Cologne. It is no wonder that the automotive industry, which requires reliable vehicle components with long service lives, has been using the polymer plain bearings in standard applications for decades. Despite this, the application areas have far from been exhausted, meaning polymer bearings still offer a great deal of potential. Manufacturers are striving to produce increasingly environmentally-friendly vehicles, not least due to the need to reduce CO2 emissions. In this regard, polymer plain bearings eliminate the use of oily lubricants. The tribologically-optimised dry running of the polymer plain bearings also offers clear benefits for OEMs that produce electric or hybrid vehicles, which have to date suffered from the fundamental problem of a relatively low range. Seven times lighter than metal bearings, iglidur materials help extend the range by reducing the weight. Above-average growth is also expected in the market share of low-budget vehicles, especially in the key BRIC market. "Anyone who already uses plastic as a cost-effective, durable alternative, will be able to seamlessly meet the new requirements," emphasised Markus Feth. Laboratory tests can reveal a great deal, but not everything. To mark the 30th anniversary of iglidur bearings, igus is therefore setting out on an adventurous round-the-world trip to demonstrate the high performance of its plastic products. A small car has been retrofitted with iglidur plastic components and is setting off on a global expedition under the motto 'iglidur on tour'. The journey will take it across four continents and three oceans; mile upon mile of tarmac, gravel, dirt and mud through rain, searing heat and snow. Different road, terrain and climate conditions all have to be overcome. Stops are planned at the global igus subsidiaries, as well as at partners, customers, the winners of the igus-initiated manus award and local trade fairs. The iglidur car will create direct contact within the global network of plastic-loving OEMs and suppliers and further expand this network. Once all the technical and driving challenges have been overcome, the iglidur car will pass the chequered flag to mark igus's 50th anniversary on October 15, 2014. The most important phase of any expedition is the preparation. 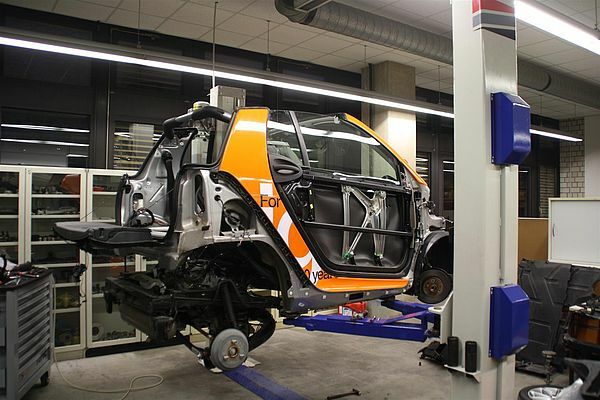 A team of experts from Cologne University of Applied Sciences has been working on the small car's igidur upgrade since November. From the window-operating mechanism through the starter generator to the throttle valve and the brake pedal: a fundamental analysis was conducted of the bearing points and the small car was retrofitted. In close cooperation with TÜV Rheinland, the bearing points that could be retrofitted without affecting the vehicle's type approval were also determined. Safety-related applications for which igus bearings have already been used a million times over, such as in the chassis, the steering systems or the engine compartment, were omitted so as not to pose a risk to the TÜV approval. Most modifications involved replacing the conventional metal bearings with iglidur polymer bearings, which have now been successfully used as high-tech machine parts for over 30 years. These all offer characteristic benefits that prepare the vehicle for its long journey and make it safe and reliable. The flexibility and broad range of iglidur bearings have made the modifications easier to conduct. 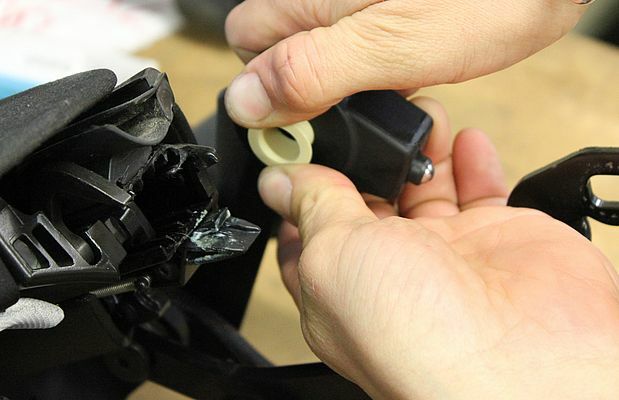 Despite this, some of the igus spare parts still had to be custom produced and adapted to the existing modules. The project could only be achieved through weeks of hard work in the garage. 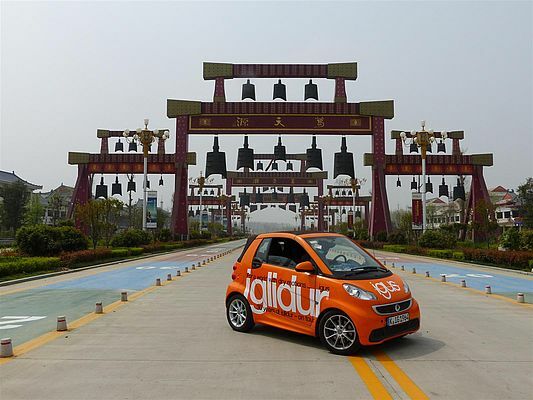 On January 20, the 'iglidur on tour' car started from Cologne on its nine-month trip. Its first stop was the Indian trade fair 'Auto Expo', after which it was headed to China, Japan, Korea and Taiwan. After travelling through South and North America, the small car returned to Europe and travels now through Europe - visiting customers from Portugal to Turkey, from Sweden to Italy. Division Manager Markus Feth is already looking forward to the results: "The 'little one' will have shown us precisely what iglidur bearings can do in cars." The tour can be followed online at blog.igus.de/iglidurontour. Reports, videos and photos will provide exciting insights into the 'iglidur on tour' journey.